LoDo, which stands for Lower Downtown, has been many things during its many lives. In its early days as a frontier town, you’d likely run into such characters as Buffalo Bill Cody, Calamity Jane, and Soapy Smith amid the hustle and bustle of gunfighters, madams, and gold miners causing trouble along the famed Larimer Street. Then in the 1920s, Market Street was Denver’s Red Light District. The ‘70s brought brick warehouses. And in the late ‘90s, the LoDo neighborhood was officially established with the opening of Coors Field. 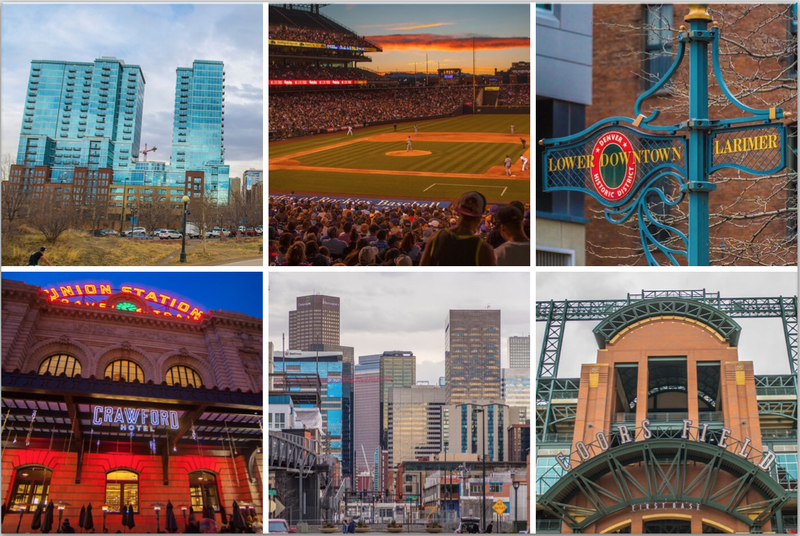 LoDo is the area between Park Avenue West, Lawrence, the South Platte River, and Speer. Residentially, you’ll find 19th century brick architecture with classic arched windows as well as converted warehouses, renovated historic buildings, high rises, and luxury living with the relatively recent addition of many new lofts and condos popping up among LoDo real estate. In this neighborhood, there’s almost too much going on to mention. Streets buzz night and day with shoppers, nightclub hoppers, sports fans, business people, gallery goers, and tourists. You’ll want to spend some time on 16th Street and the free mall ride checking out the shops, sports bars, and restaurants. Larimer Square is still the place to be with the trendiest boutiques housed in the most charming of historic buildings. For such an urban paradise, you may be surprised at all the greenery around when buying in LoDo. Landscaped paths along the South Platte and Cherry Creek provide walkers, joggers, and cyclists with safe, picturesque access to one of the most extensive urban trail systems in the nation. Kayakers run the rapids of the Platte in Confluence Park and skateboarders hone their skills at the nearby Denver Skate Park. Summer evenings, with concerts and festivals, are never long enough and the nightlife is unparalleled in the Denver area.